About an hour later, the show began. Matt Brown came onto the stage and engaged the audience quickly and effectively. I always think that once you relax and start laughing, it’s much easier to find subsequent acts funny. So this was a brilliant start. He introduced Prince Abdi who was, without a doubt, my favourite of the evening. His observational comedy had me laughing out loud continuously (I was that awkward person who is left still laughing once everyone else has stopped). I would definitely recommend seeing him if the opportunity ever arises. Or, if possible, seeking out an opportunity to see him. Yep. That good. If I’m honest, the subsequent two acts did very little for me. One was simply strange – strange accents, strange interactions with the audience, strange humour. The other just wasn’t that funny. Which is never a good thing at a Comedy Club. Fantastic, right? Yep, I thought so too. 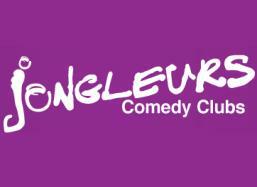 This entry was posted in Somewhere to Visit and tagged Comedy, Comedy Club, Jongleurs, Piccadilly, Prince Abdi. Thank you! I will look for him on the US and in the UK when I return.